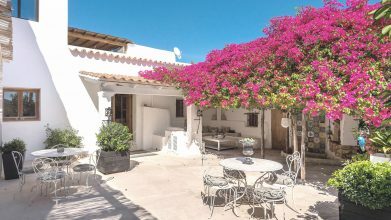 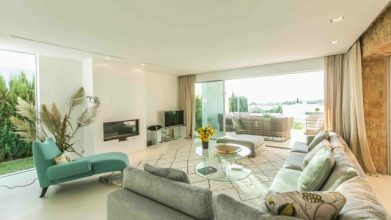 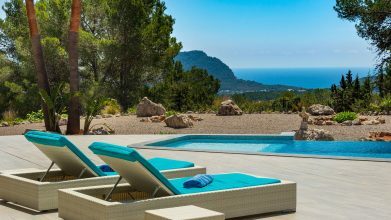 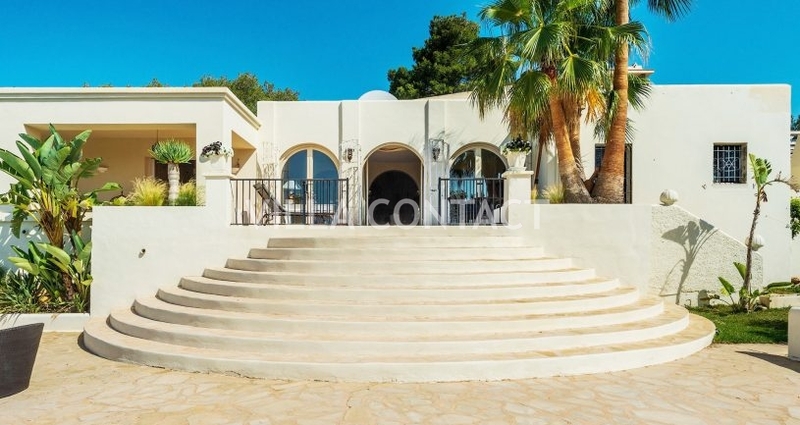 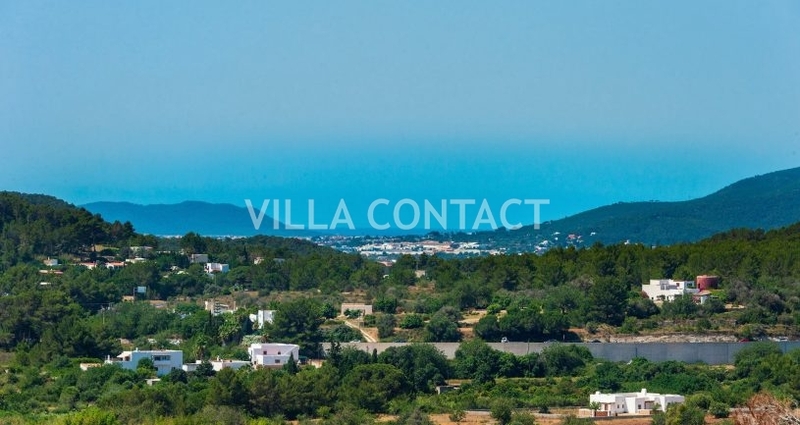 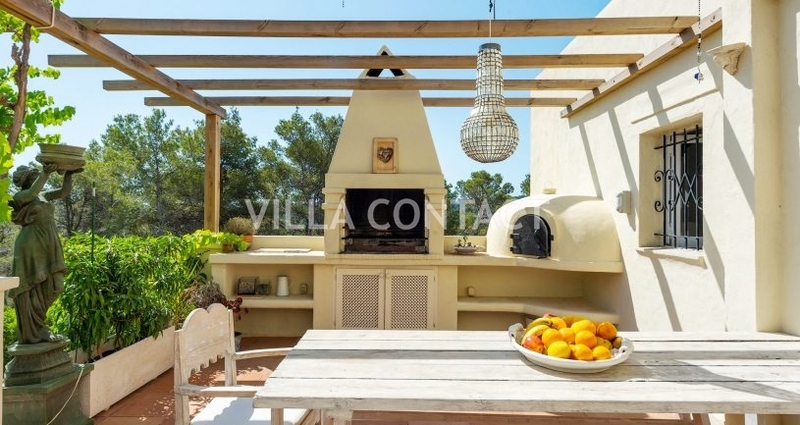 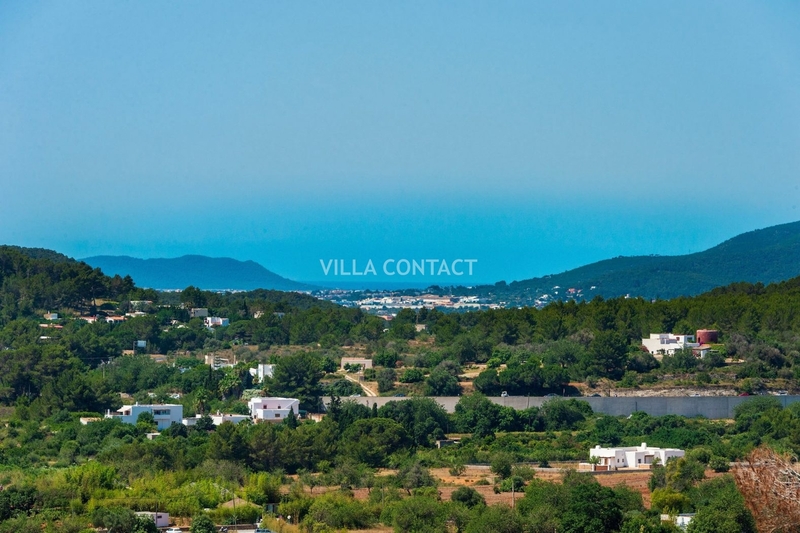 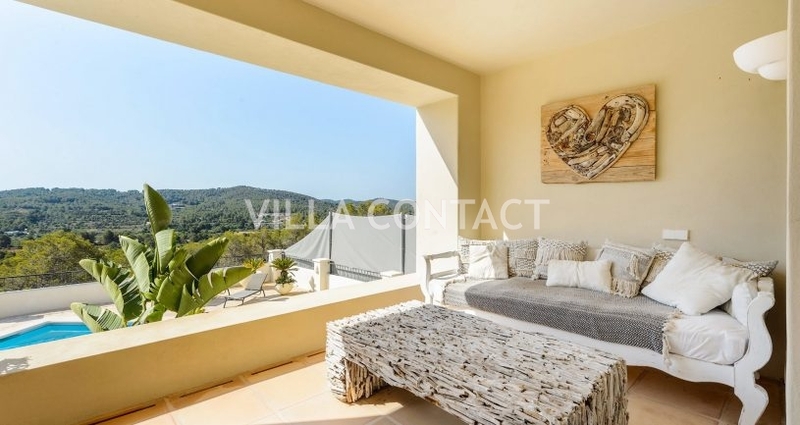 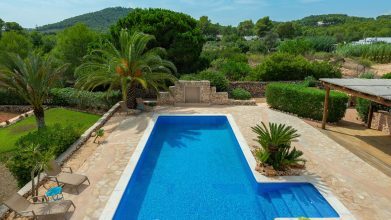 Can Arnau is fabulous villa with sea and countryside views conveniently located within 5 minutes to the towns of Santa Eulalia and Santa Gertrudis. 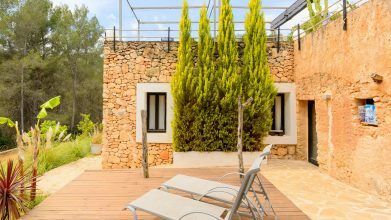 The property consists of a main house with private pool and a guest house which sits at the top of a gently sloping hill with open views. 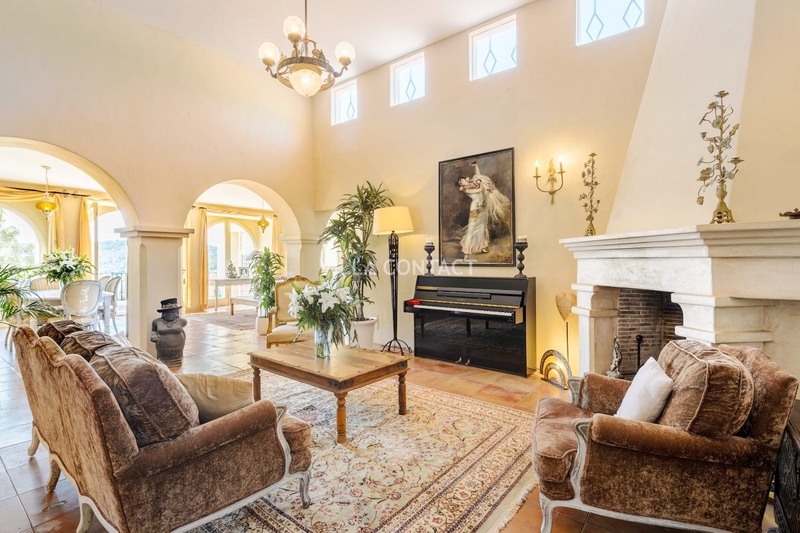 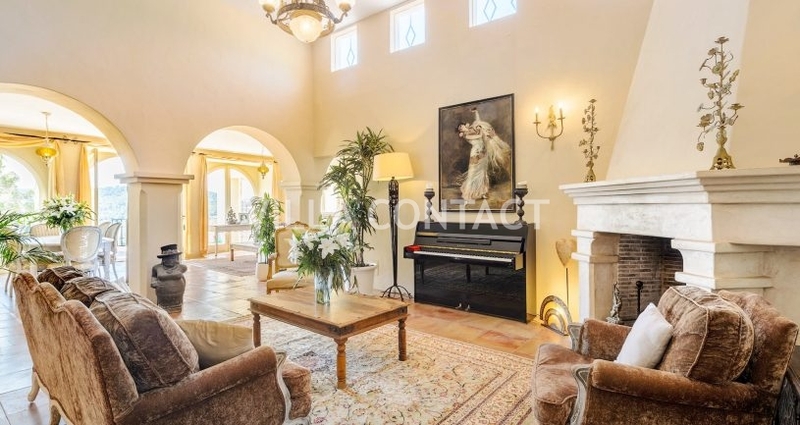 The main house is distributed across two floors and offers a huge light and bright double living/dining room with double height ceilings that opens up onto the spacious terraces both covered and uncovered and pool deck below. 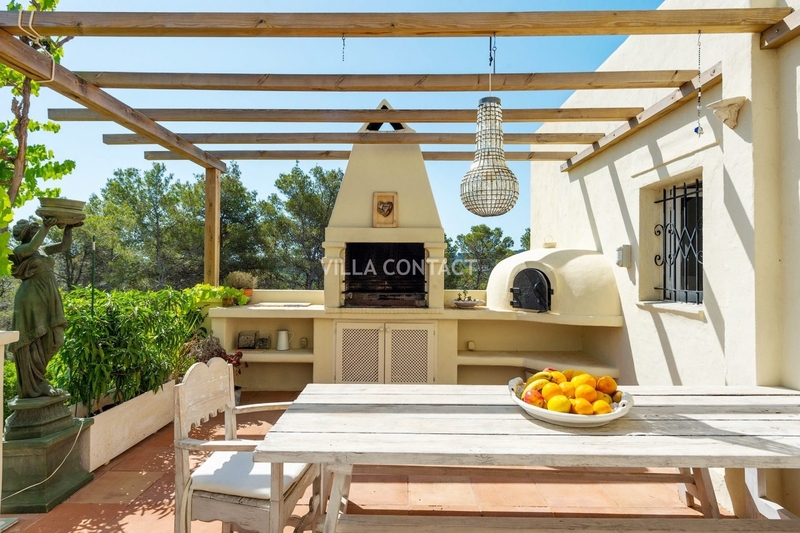 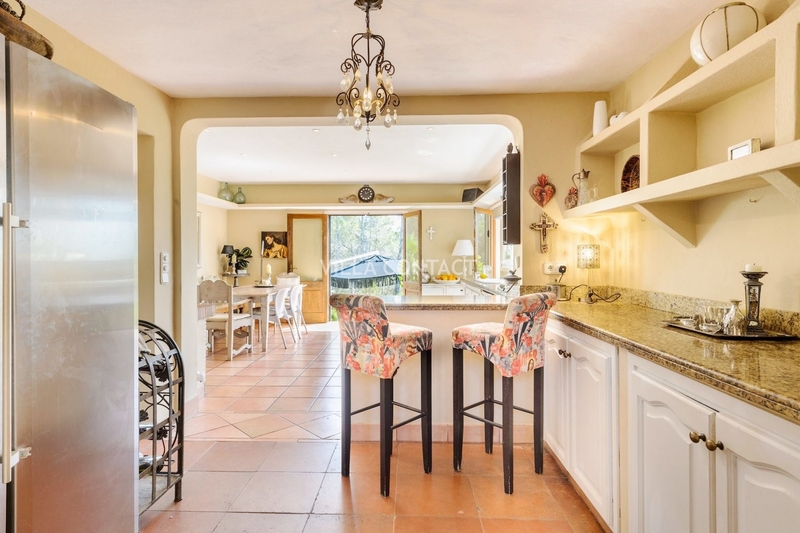 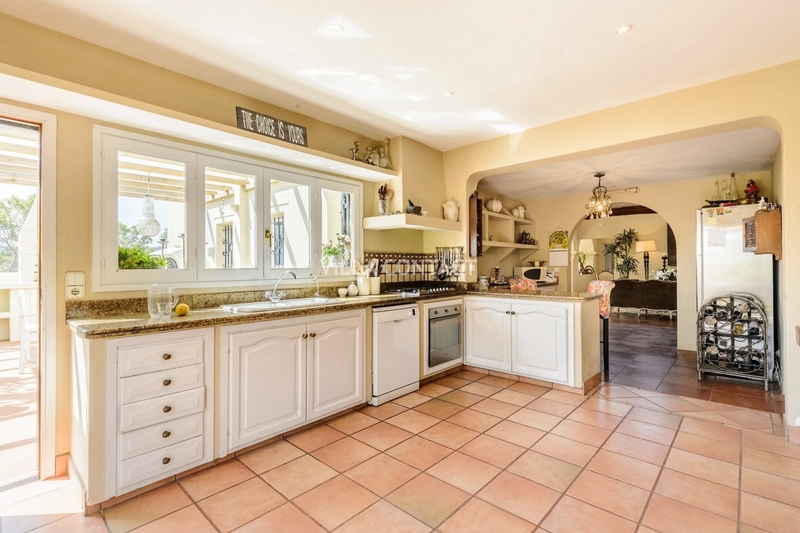 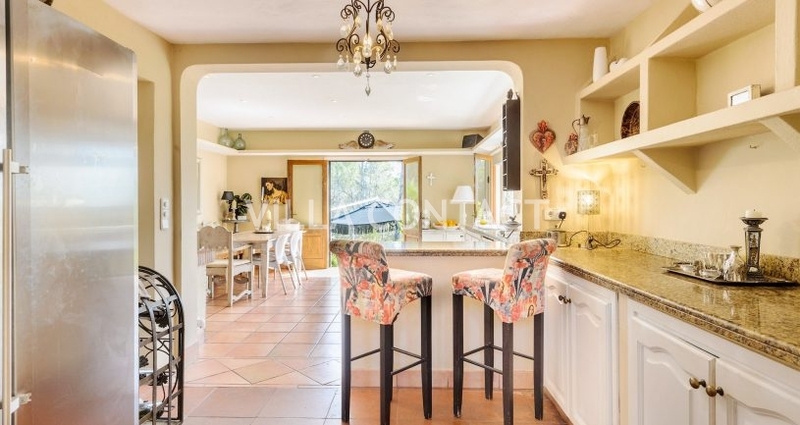 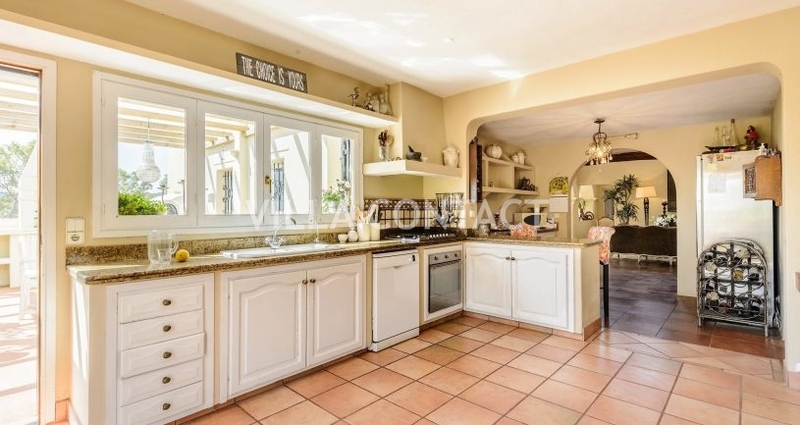 The huge kitchen with fireplace and second dining area and separate laundry room leads from the living room which in turn opens up onto a separate terrace with an outdoor BBQ and dining area covered with a pergola. 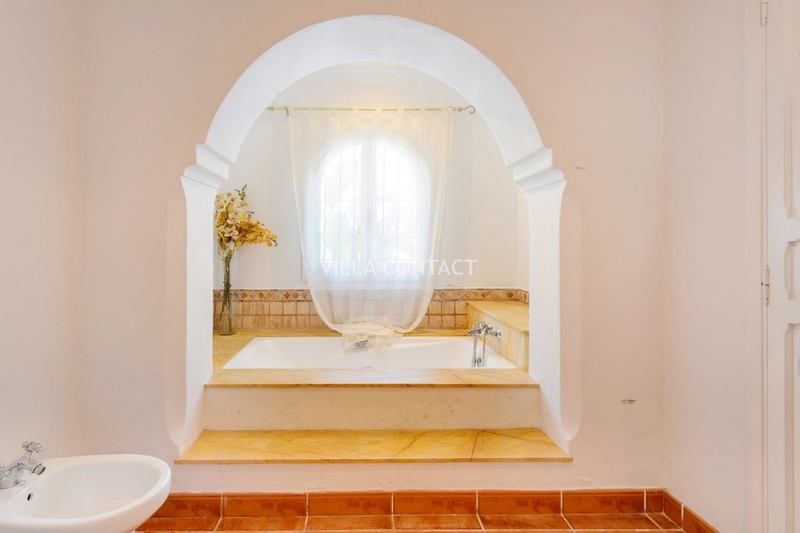 There are four bedrooms and three bathrooms located on the ground floor and 2 bedrooms and 1 bathroom located on the first floor. 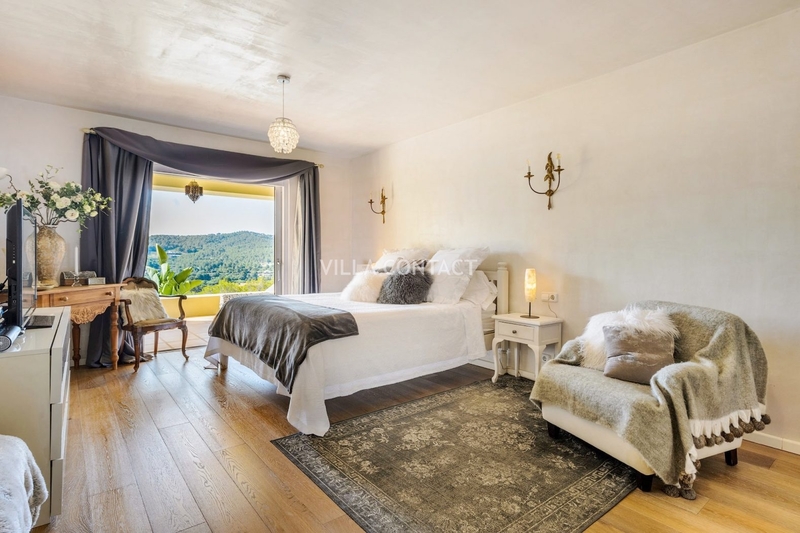 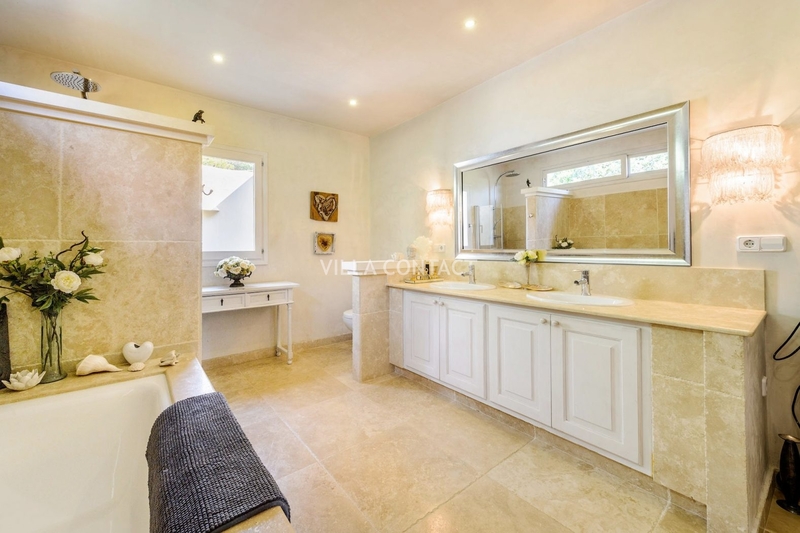 The guest house located only 20 meters away from the house has its own parking and consists of one large bedroom with a fully equipped kitchen and bathroom and has its own outside terrace with views to the garden. 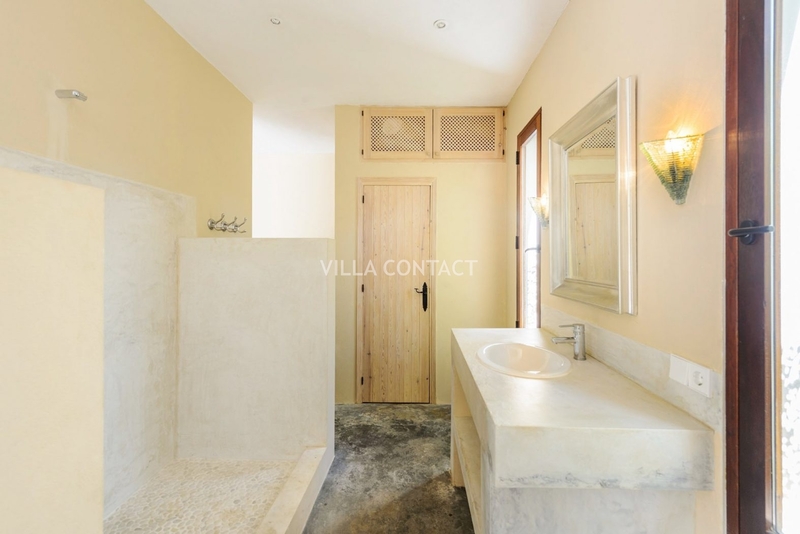 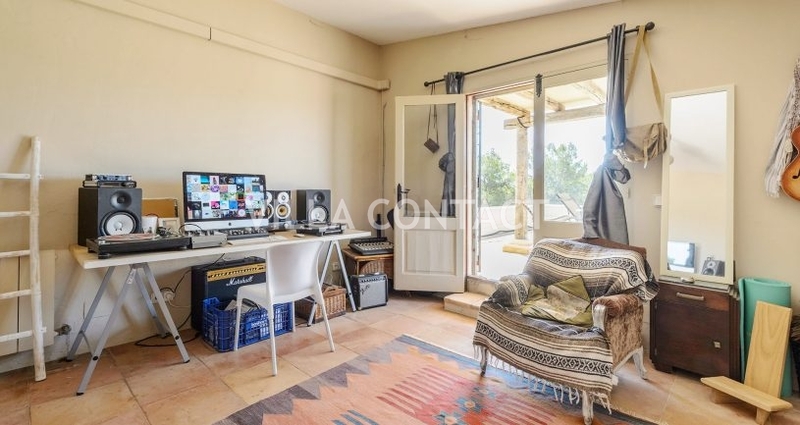 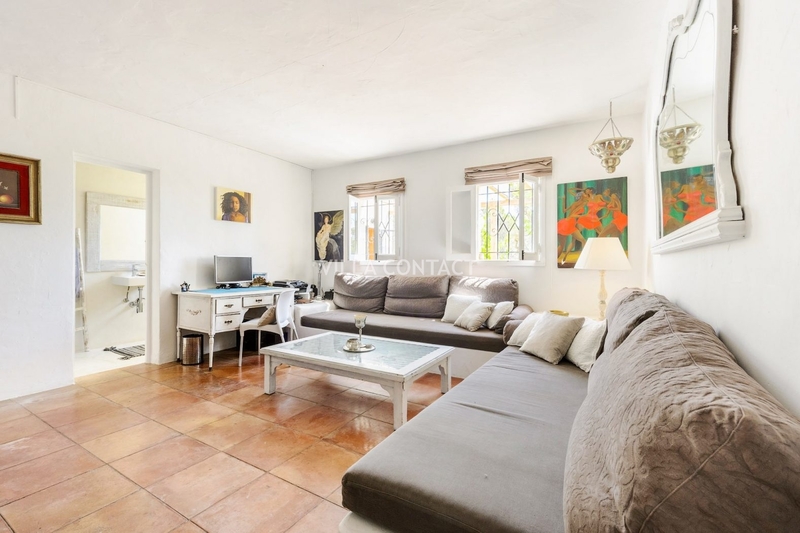 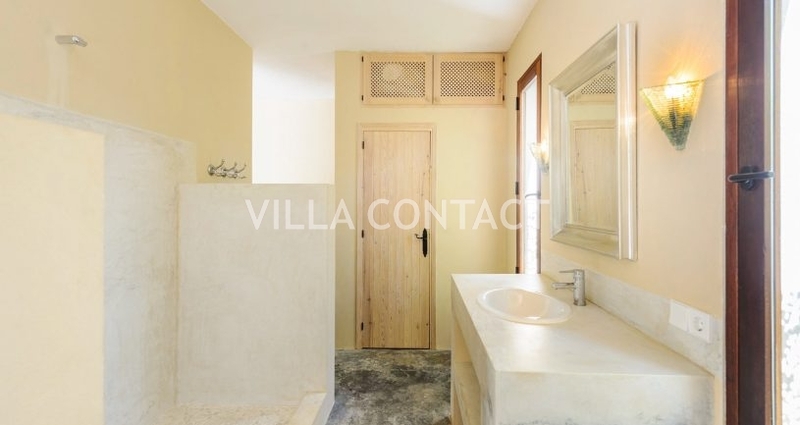 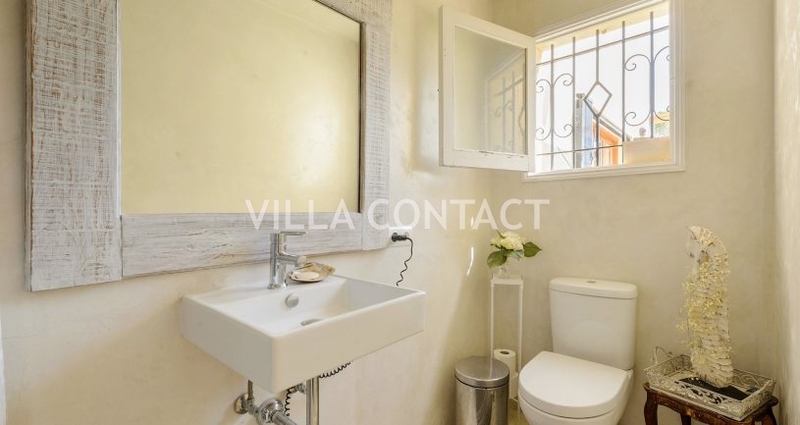 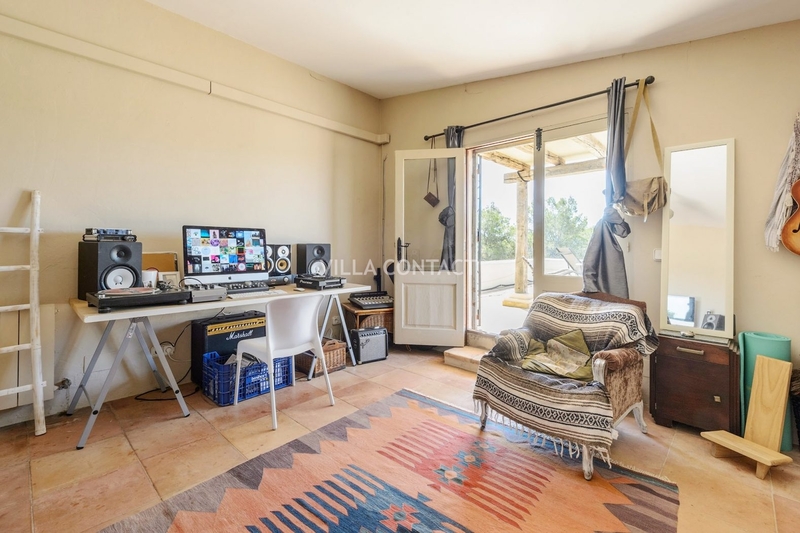 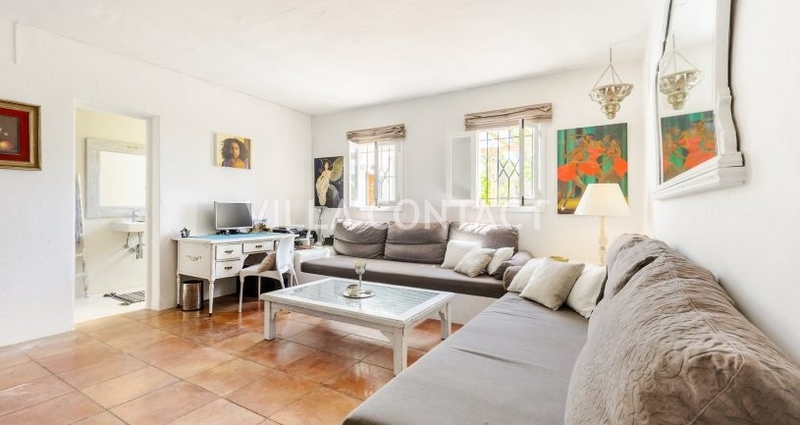 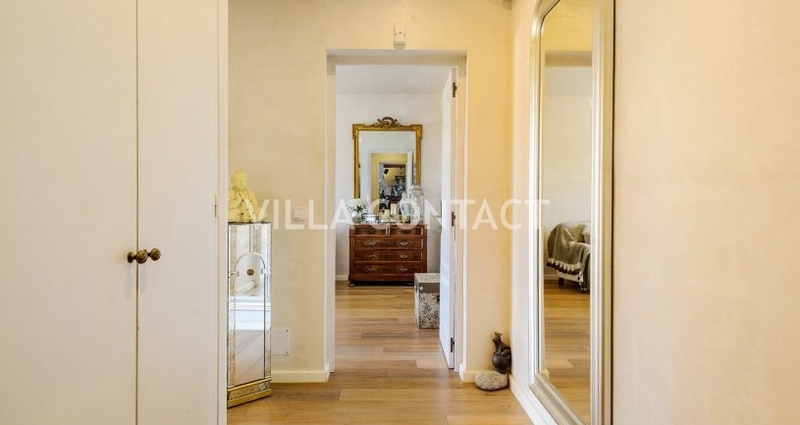 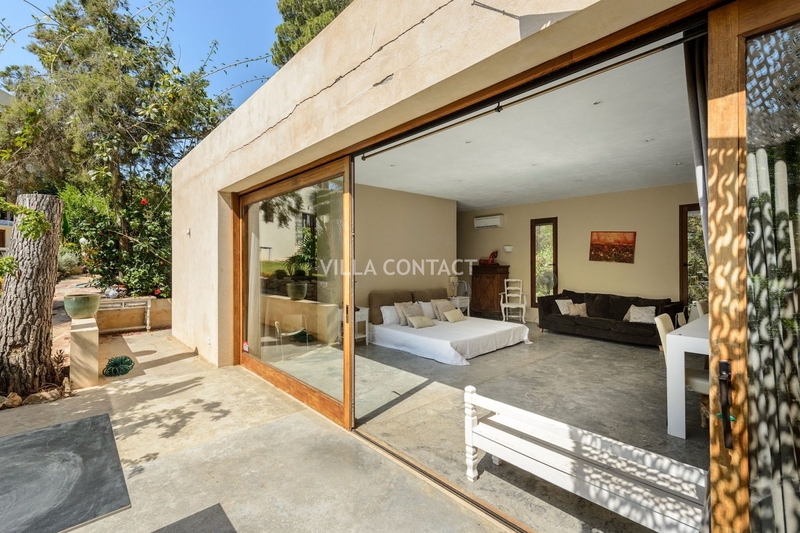 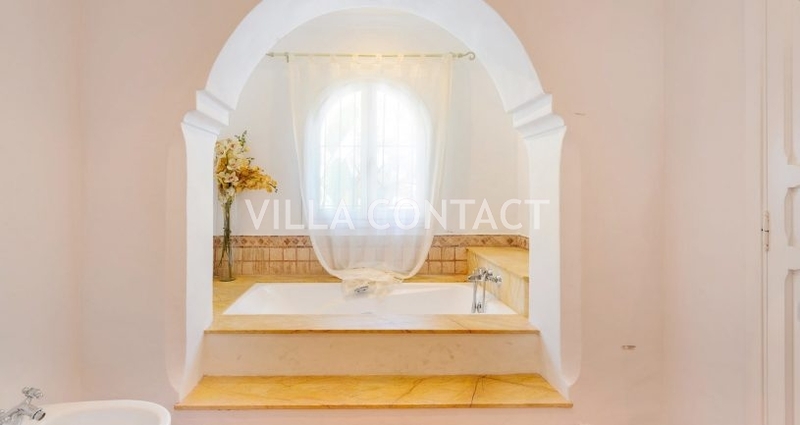 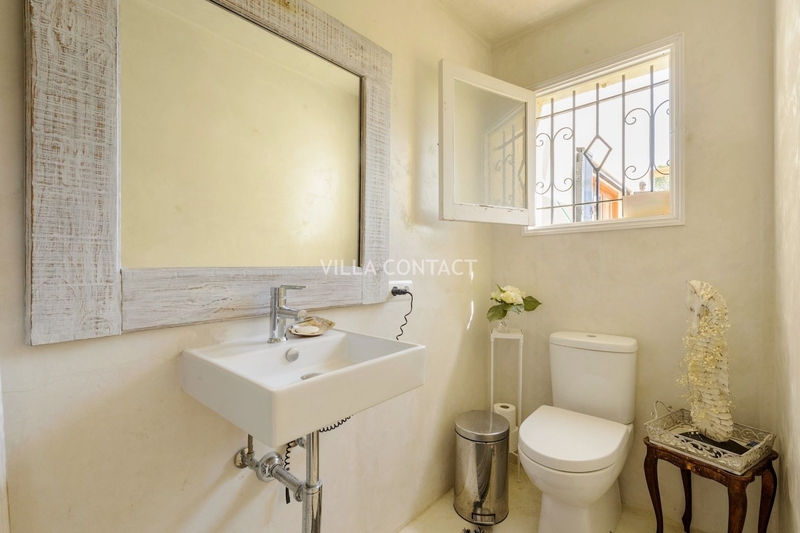 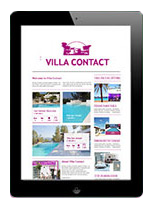 The property has ample space for additional bedrooms, a studio or guest quarters under the pool terrace and offers many possibilities for those looking to make some minor reforms and improvements.